Grabyo grabbed the headlines recently for raising money from some A list footballers and basketball star Tony Parker. Apart from generating bad puns, the development also marks the continuation of a recent trend of sports stars getting involved with digital innovation companies, especially ones that are connected to sports. Clearly, the present generation of athlete-celebrities have moved on from partnering in restaurants and buying small stakes in franchises to finding the next Zuckerberg. In a time when rights holders are trying to ban the sharing of fan shot Vine footage of goals and live sports events, Grabyo have been working with them to enable this content to reach sports fans through legal channels. Their cloud-based system enables them to instantly create and distribute real-time video clips, with integrated sponsorship and advertising assets, across the web, social mobile apps and third party video platforms. 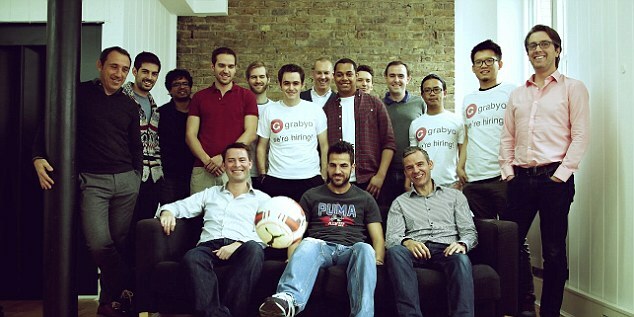 Founded in 2013, Grabyo have now raised $2m in funding from the likes of Cesc Fabregas, Robin van Persie, Thierry Henry and current NBA champion Tony Parker. This is the first time they have raised funds externally. With digital advertising spends to soon surpass TV ad spending, Grabyo is in a very good place. It’s likely that the likes of van Persie and Henry will prove that they can spot the opportunity for a goal off the field too! 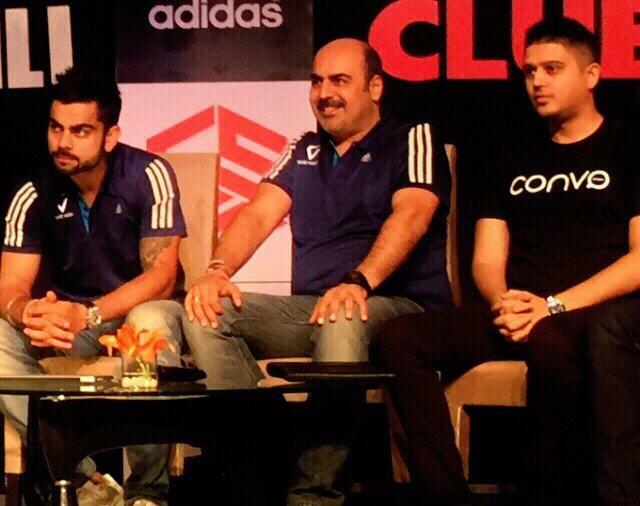 The London based sports media start-up has just landed Virat Kohli as a shareholder and brand ambassador. Unlike Grabyo that is already established, Sport Convo don’t even have a site that’s live yet. They aim to be a leading player in sport-specific social media, their tagline, “for the fans by the fans”. Kohli already has more than 22 million followers on social media, the Indian cricket star is rated as one of the biggest prospects for endorsements. Virat and his management company, CSE Consulting, will help with the development of the product as well as the business. As per a report, negotiations are underway with a number of star names from other sports to join Kohli on the platform. Late in 2013, former footballer Michael Owen and former F1 driver Mark Webber invested in Sportlobster, a unique social media platform built for sport fans. This is Sportlobster’s third round of funding, the first being an angel investment of £500,000 in September 2013, and £620,000 from a private equity firm based in Luxembourg. The amount their invested as been undisclosed, but they now own a minority stake in the business. “Sportlobster is a one-stop shop for sports fans, featuring results, upcoming events, news, rumours, blogs, and chat functions. Time to call in to @FletchAndSav to deliver my predictions. You heard them on @sportlobster first! 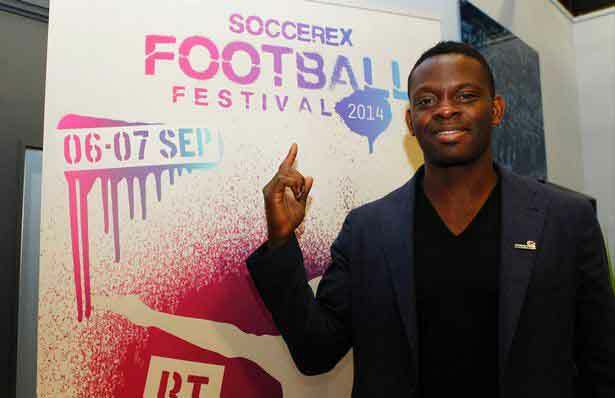 Retired France international footballer Louis Saha has gone a step further than just spotting a great digital sports opportunity – he has gone an built one himself. Or at least his sports consulting company Axis 10 has. Saha launched Axis Stars in late October 2014. It’s a social network designed exclusively for professionals in the world of sport, where athletes, coaches and agents to help better manage and negotiate their careers and those of their clients. So here’s a social network for an athlete by an athlete. The platform already has on board, well-known stars like Didier Drogba, Florent Malouda and Robert Pires, as well as NBA players Nicolas Batum and Boris Diaw. It has also received interest from boxing and motorsport circles. If you know of or come across any more examples of how athletes invest in digital media companies, be sure to let us know. ← Forget about 3D, now watch sports in FreeD!